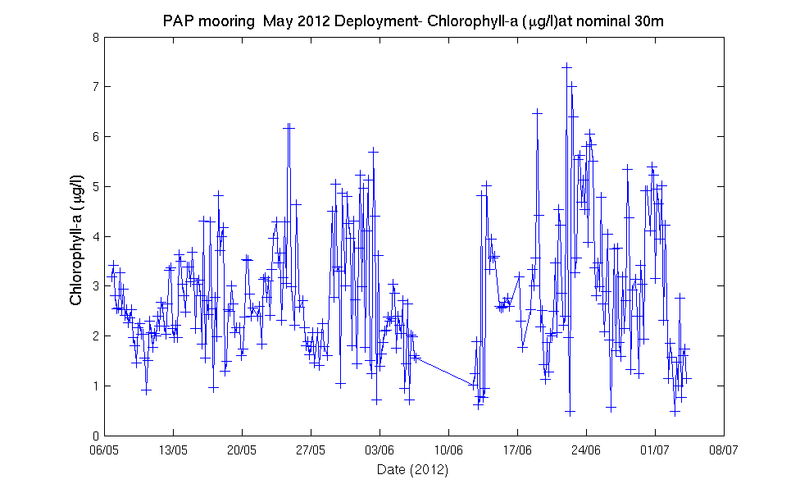 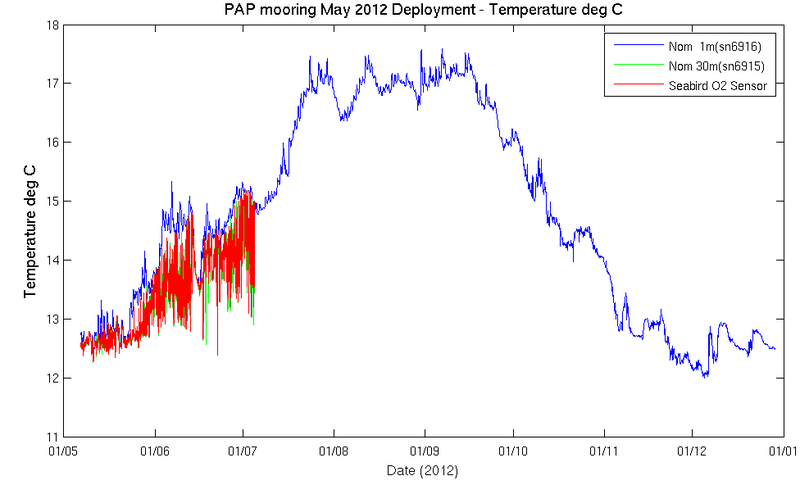 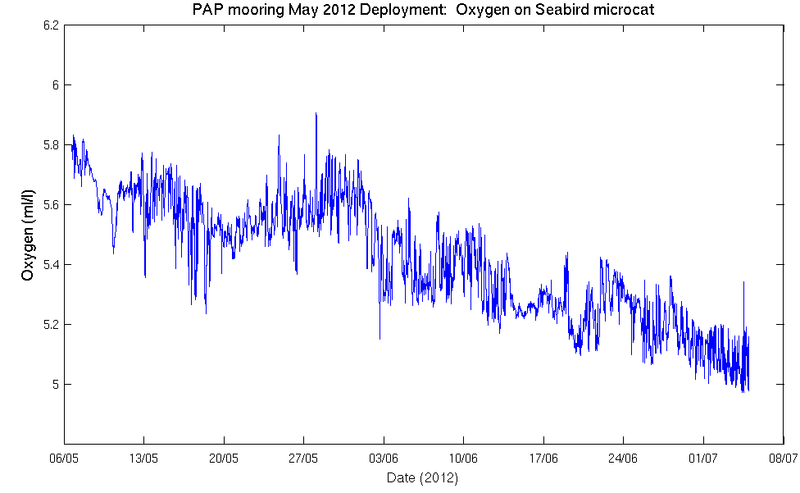 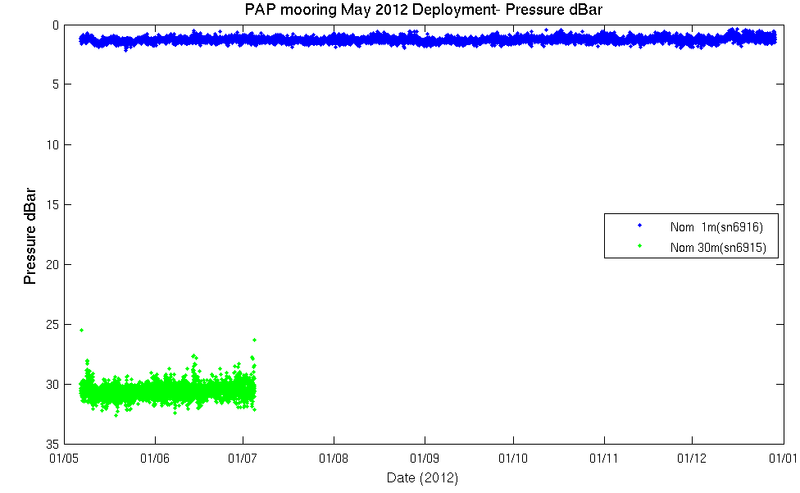 The PAP1 mooring was redeployed deployed on 6 May on cruise JC071. 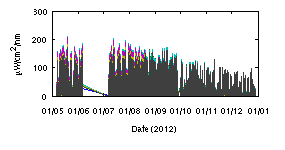 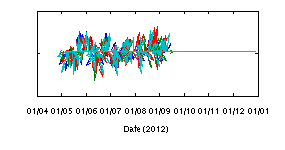 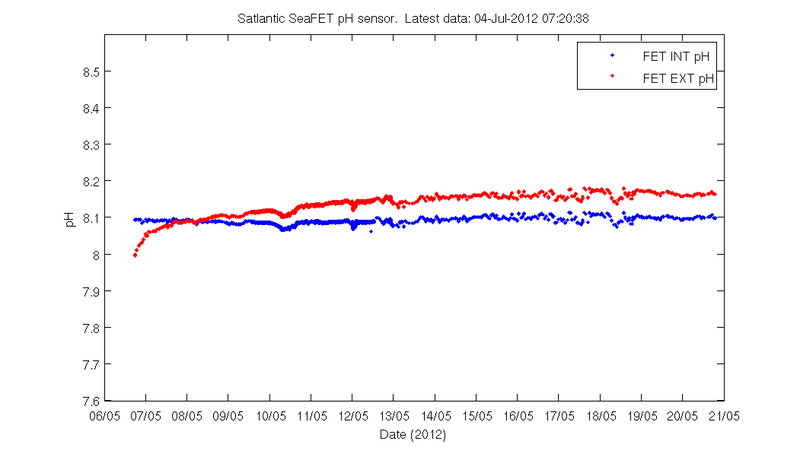 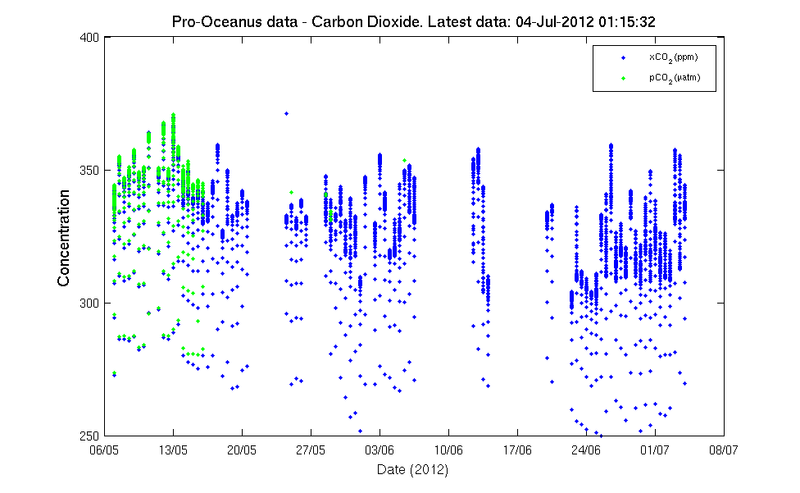 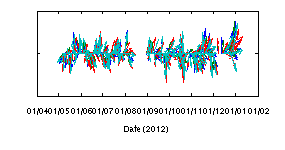 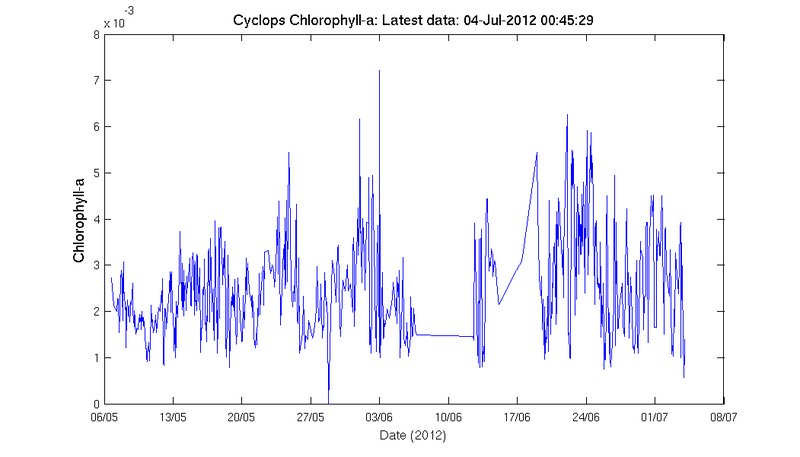 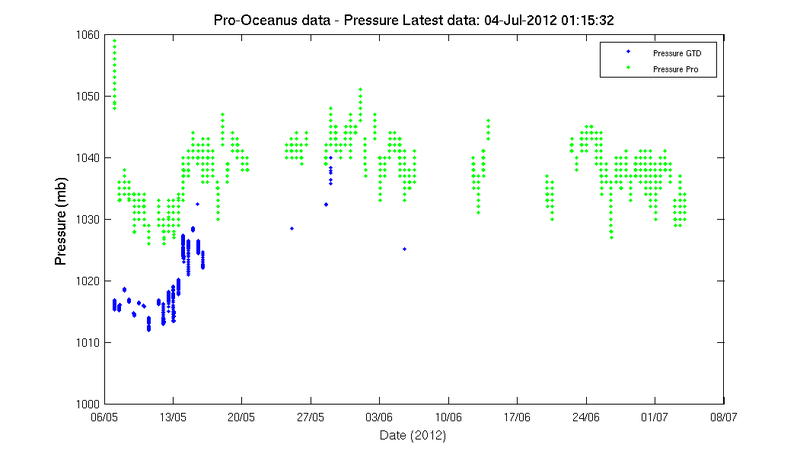 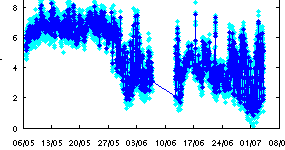 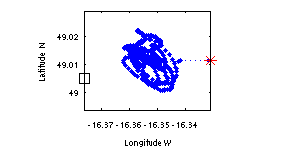 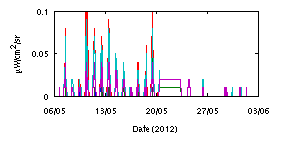 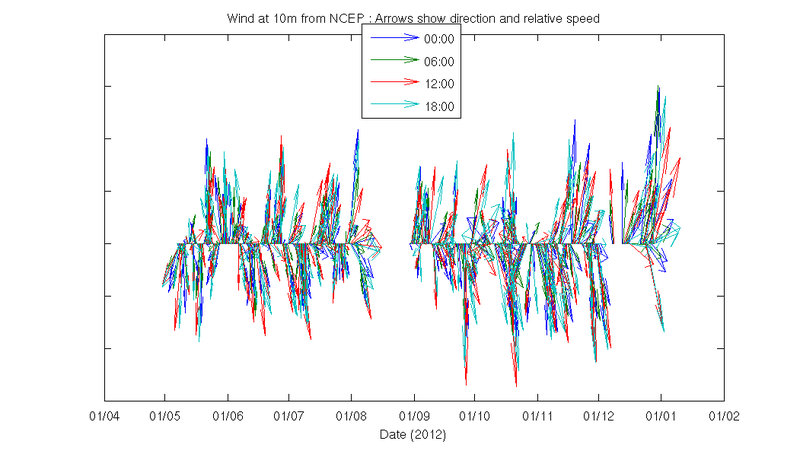 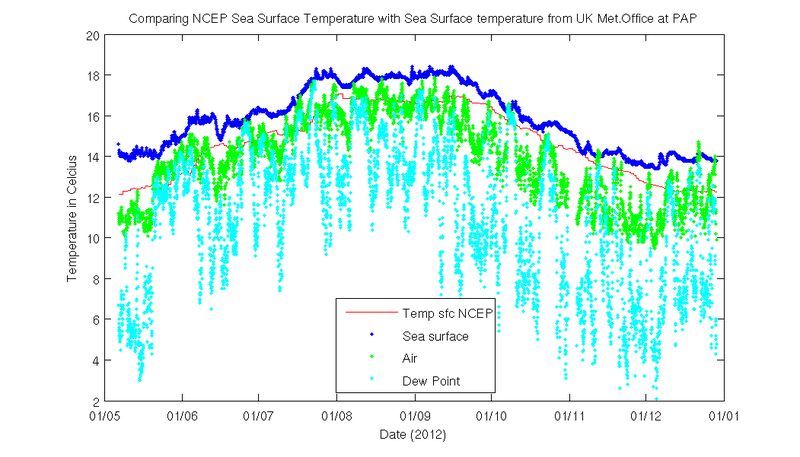 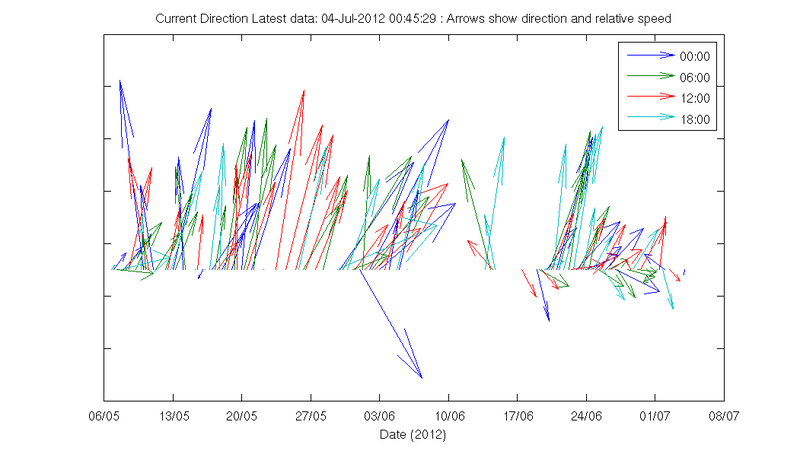 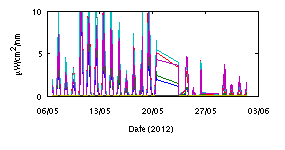 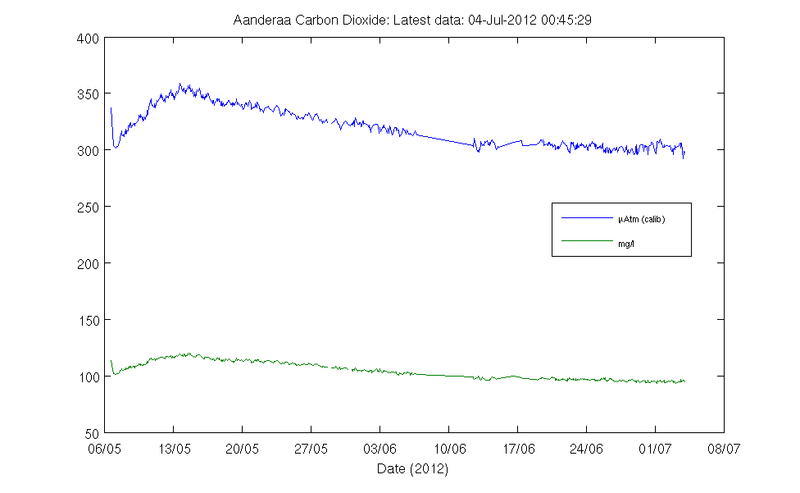 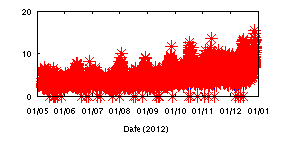 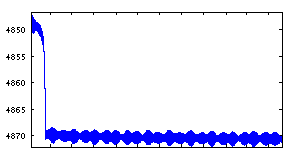 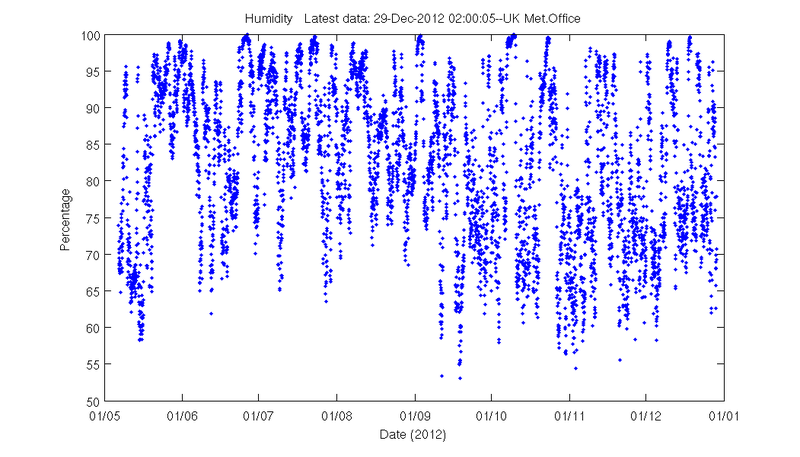 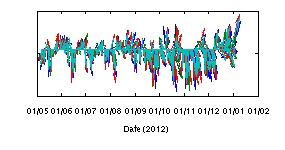 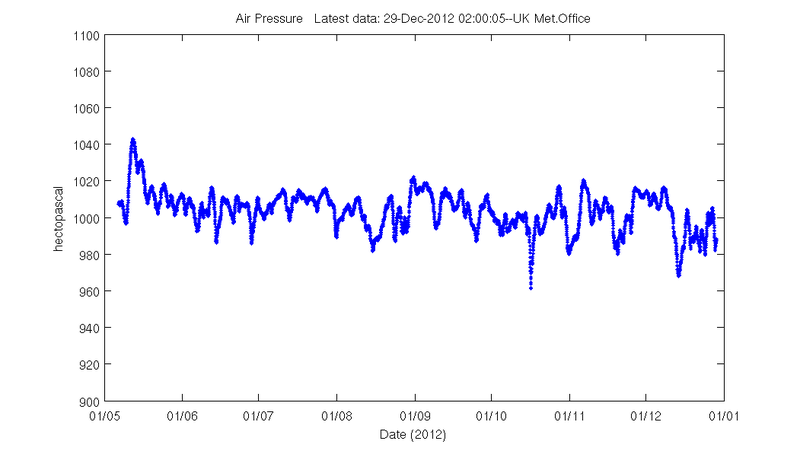 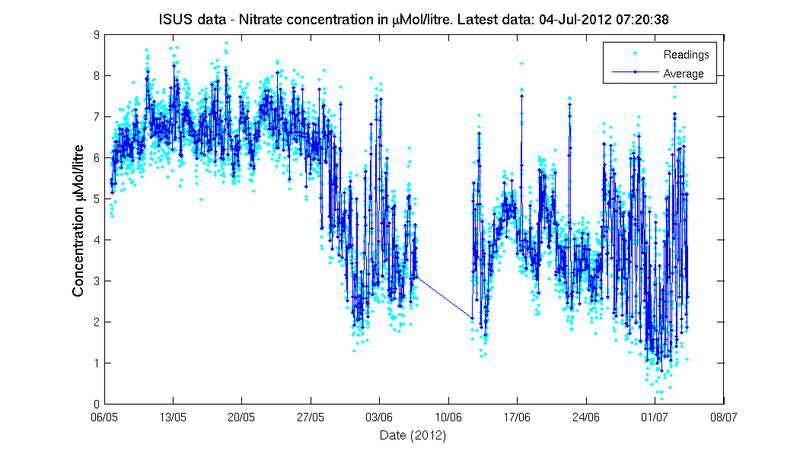 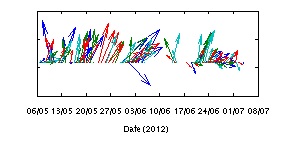 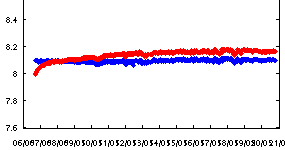 The data received by satellite is processed within hours of recording and plotted in the following graphs. 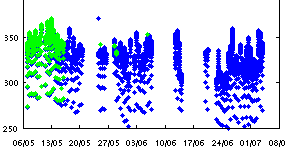 The cruise activities were blogged and can be found here. 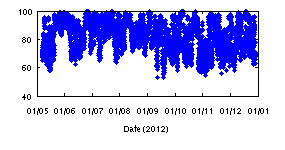 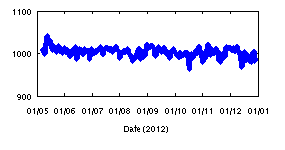 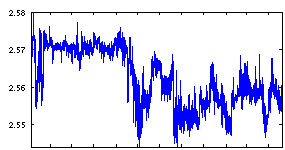 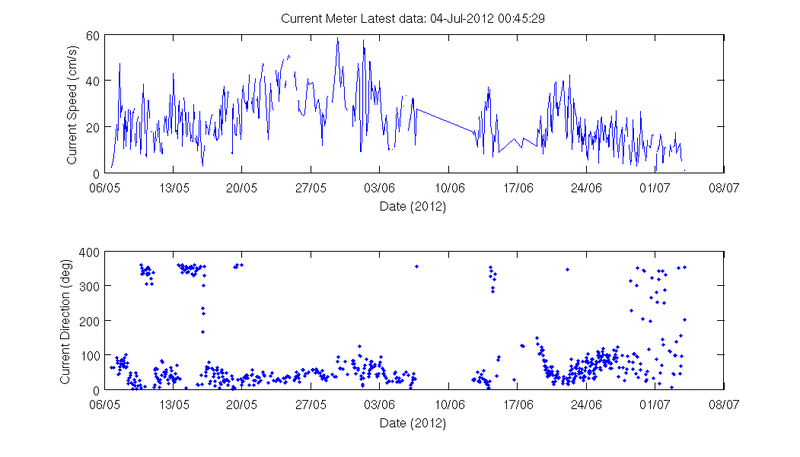 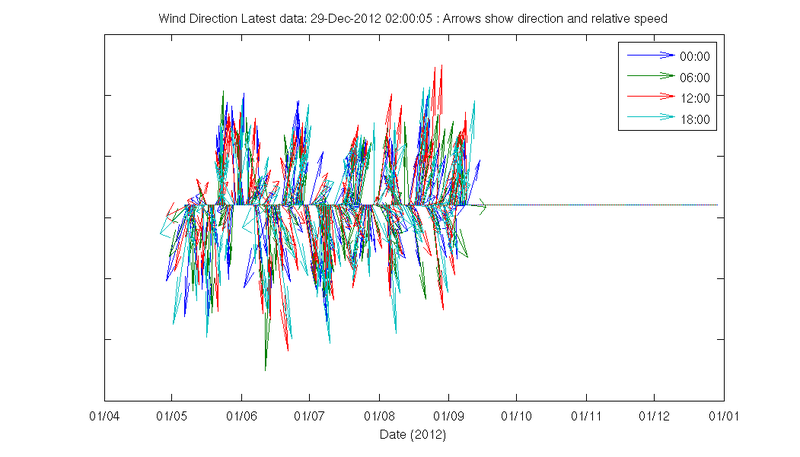 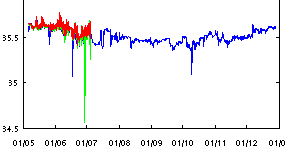 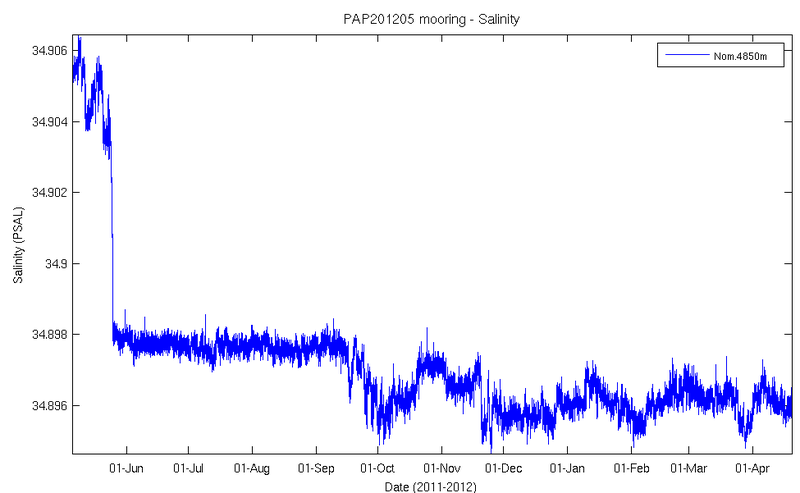 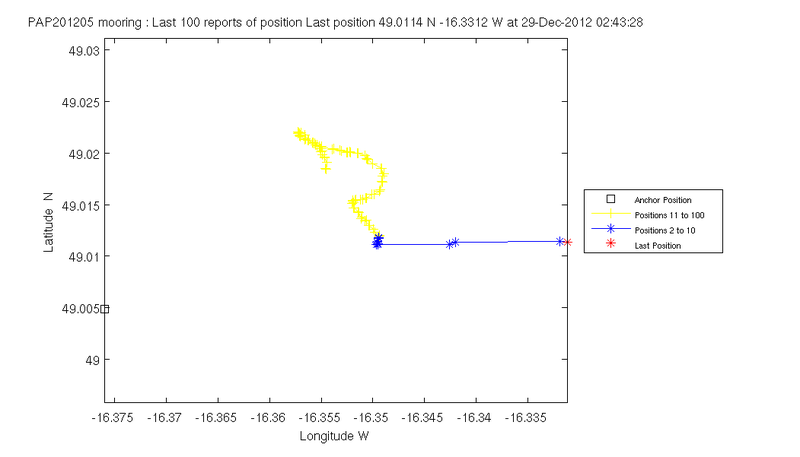 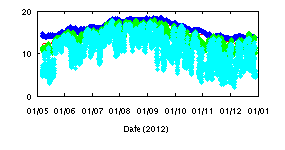 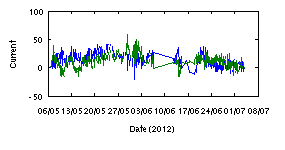 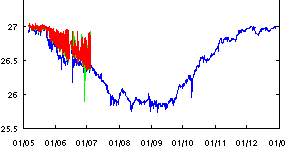 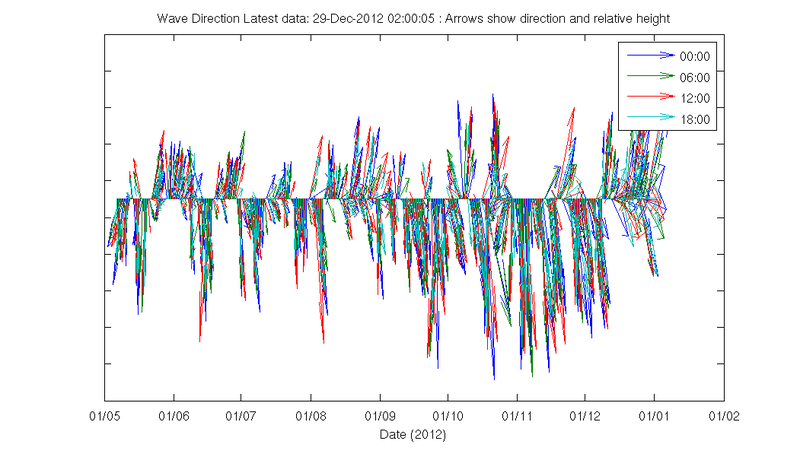 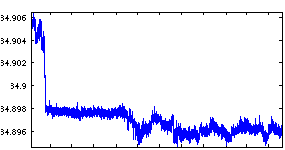 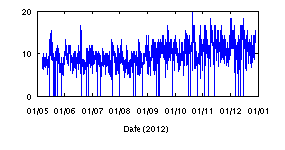 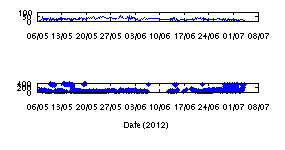 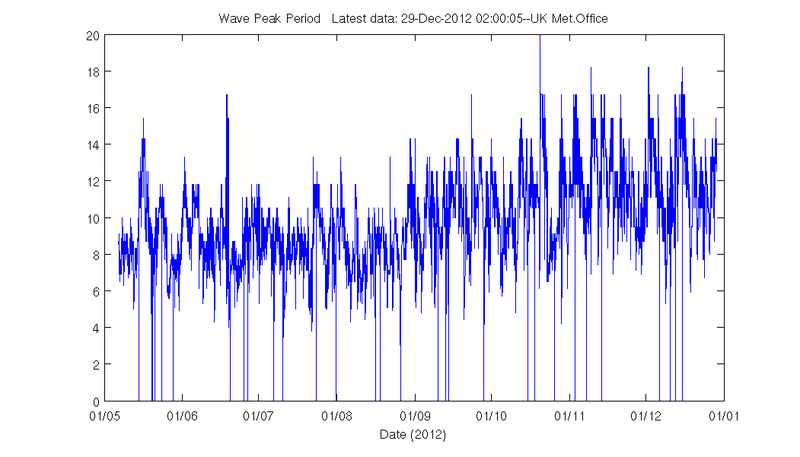 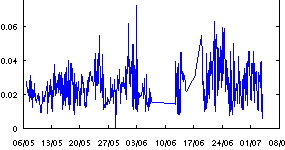 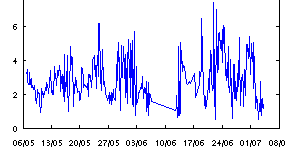 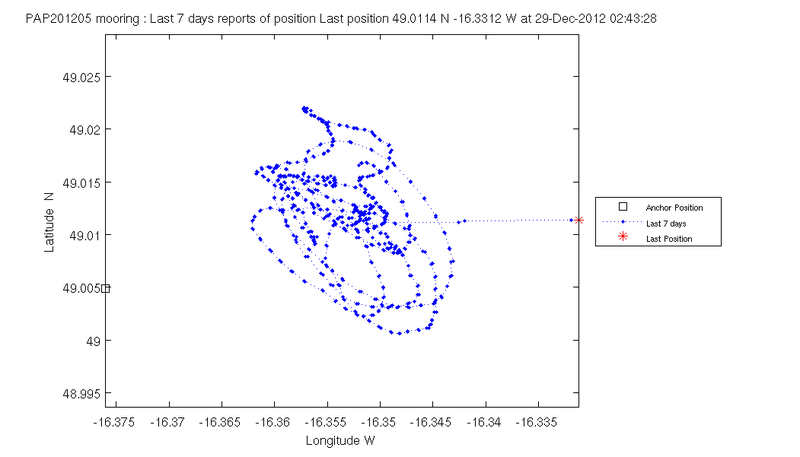 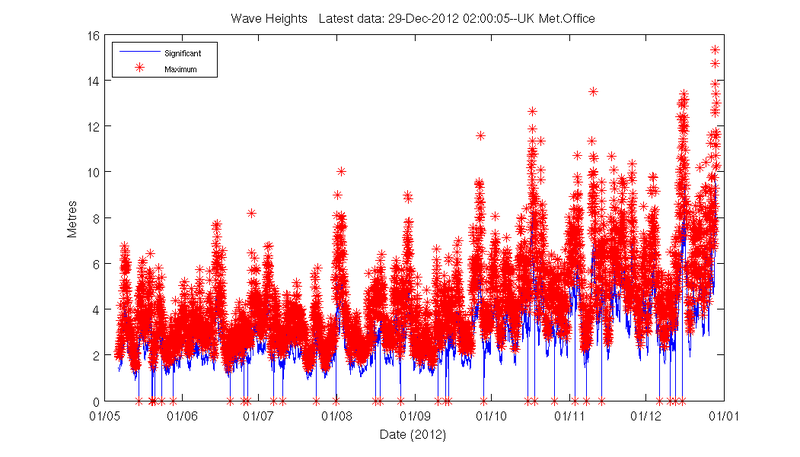 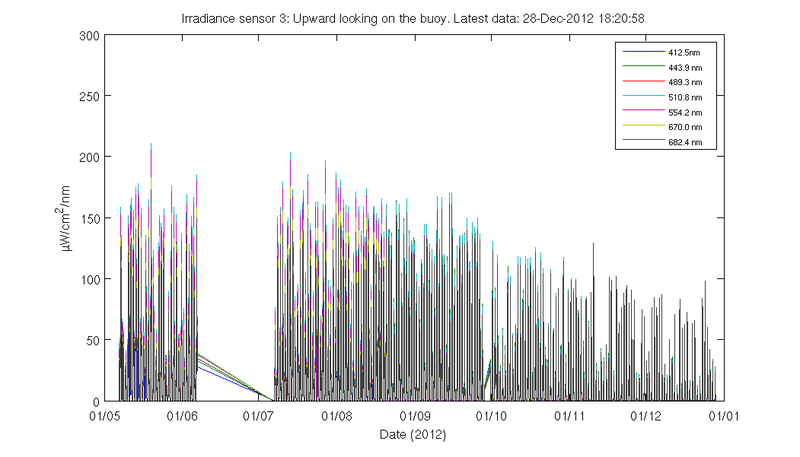 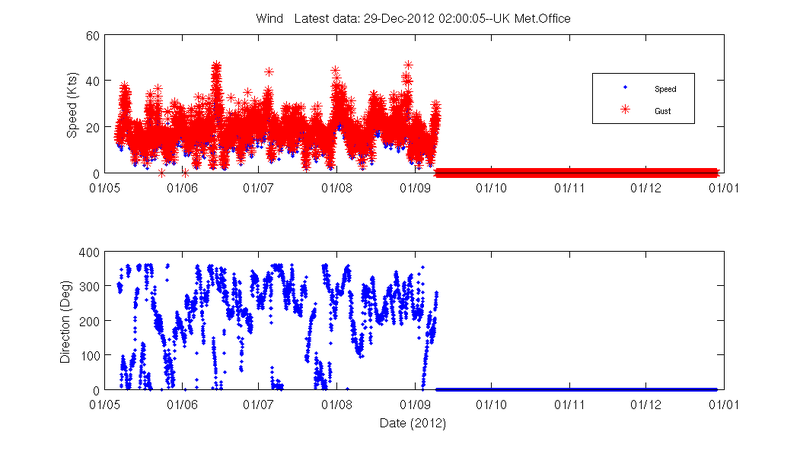 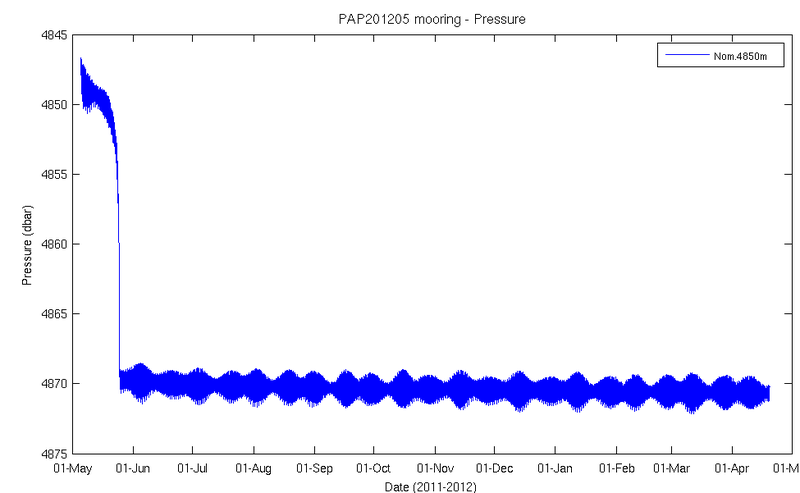 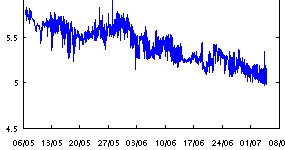 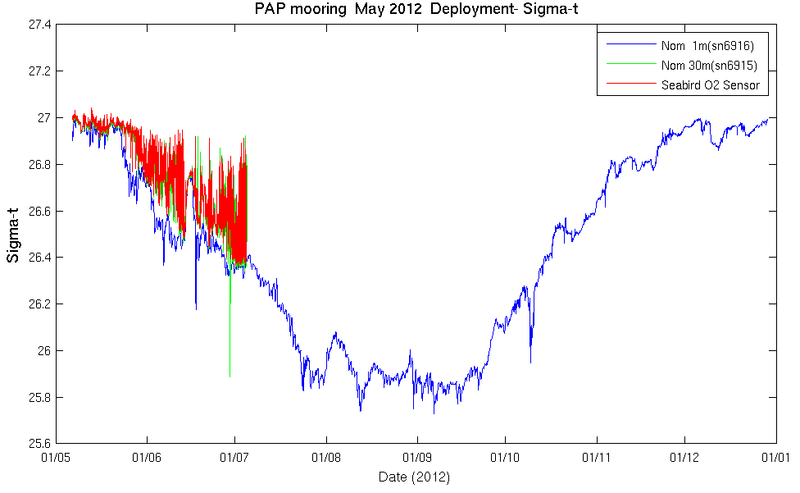 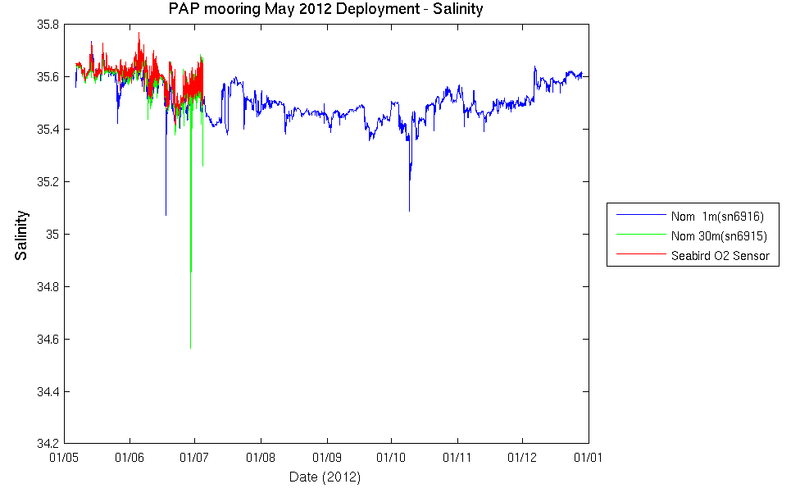 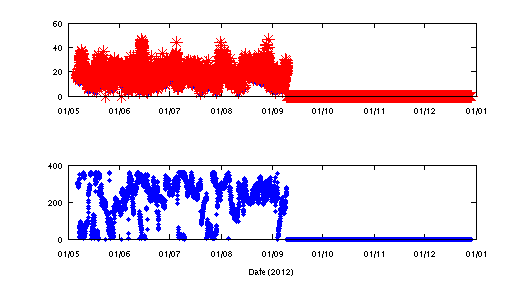 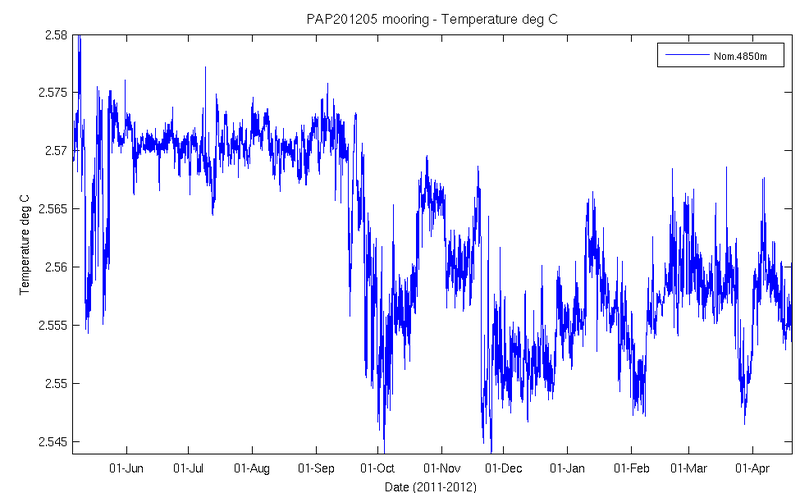 Early in the morning of 29 December 2012 the PAP surface buoy became detached and started moving off station. 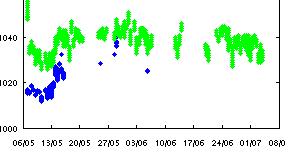 Most fortuitously the RV Celtic Explorer is on a scientific cruise in the area, and had been due to carry out some essential maintenance on the meteorological sensors. 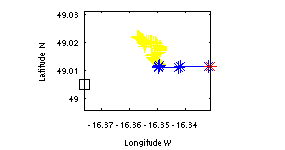 The buoy has been located and recovered despite the wintry weather conditions. 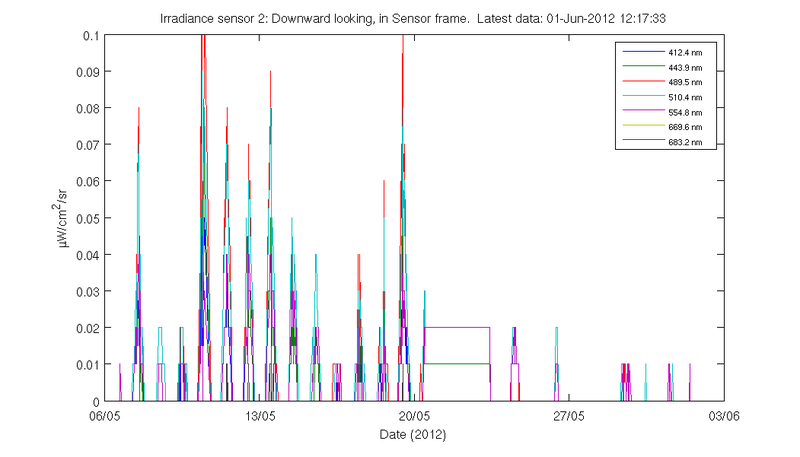 It appears that, after a period of working intermittently, the communication cables connecting to the sensor frame failed completely on 4 July. 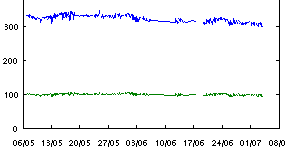 Meteorological data is still being sent and received, as well as some engineering data and readings from a single Microcat attached to the keel of the buoy. 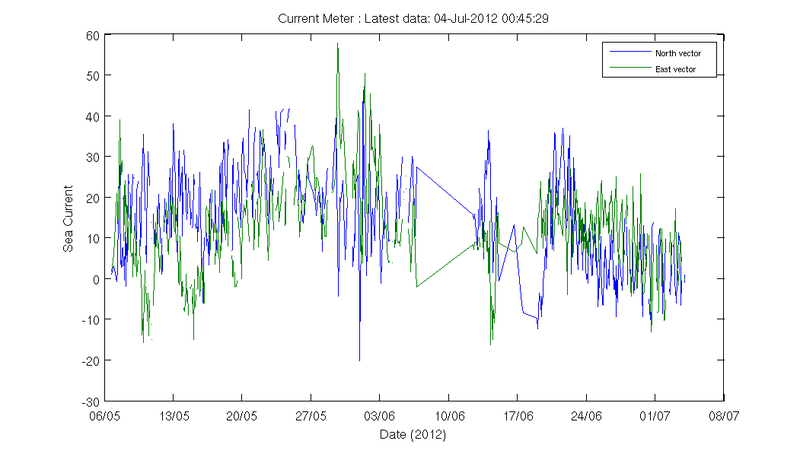 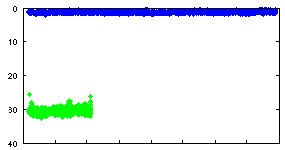 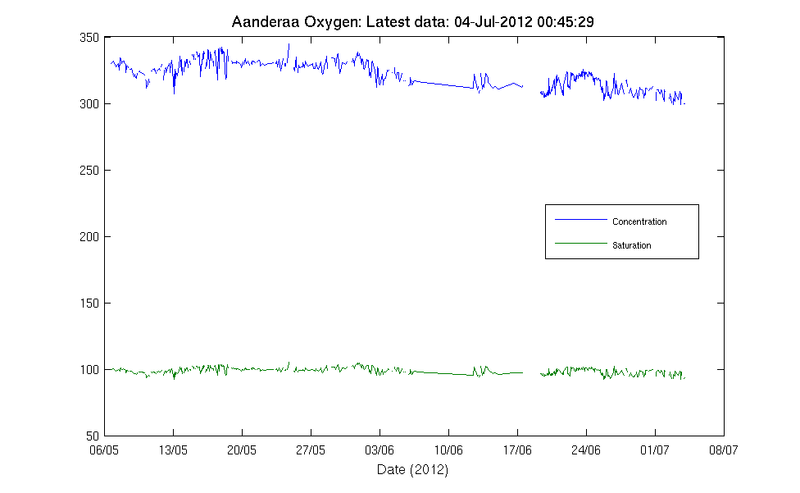 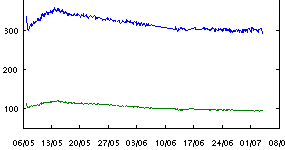 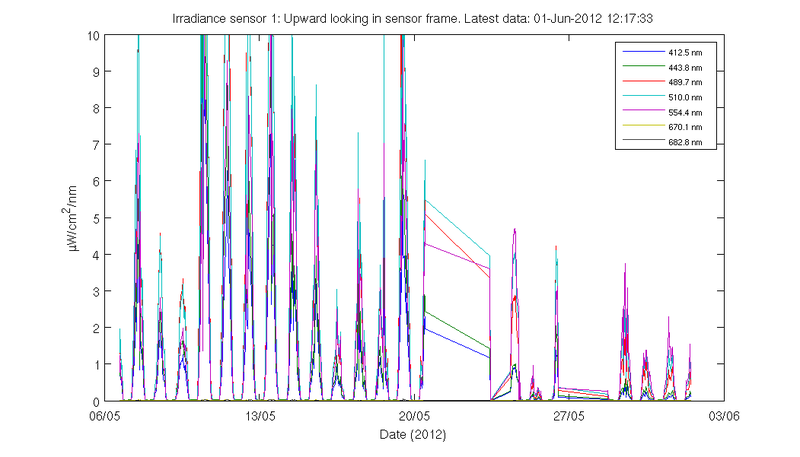 Many of the sensors at 30m will continue to log data, but that will not be recovered until the next service visit.